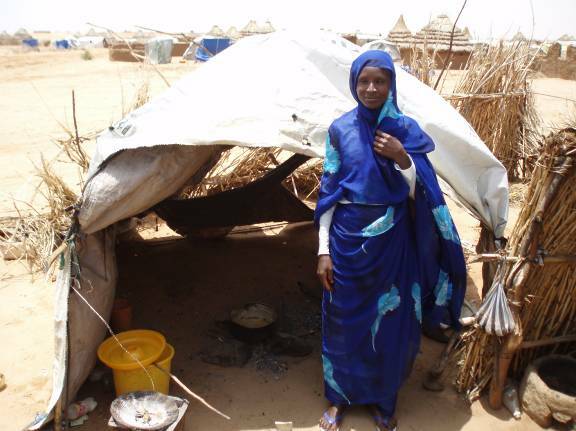 A tragedy of worldwide proportions is unfolding in the Sudan where two million people have fled from terror and violence and now live as refugees. 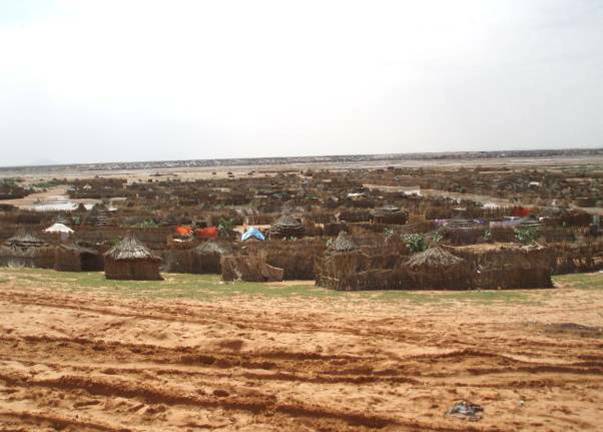 Removed from their homes and their livelihood they now live in camps such as this one and are dependent on charity for their survival. Almost all cooking takes place on a three stone open fire. This is very wasteful and inefficient. 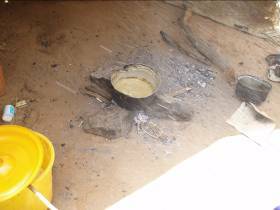 The stove on the right burns charcoal. 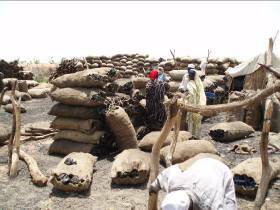 Charcoal is also wasteful and inefficient. 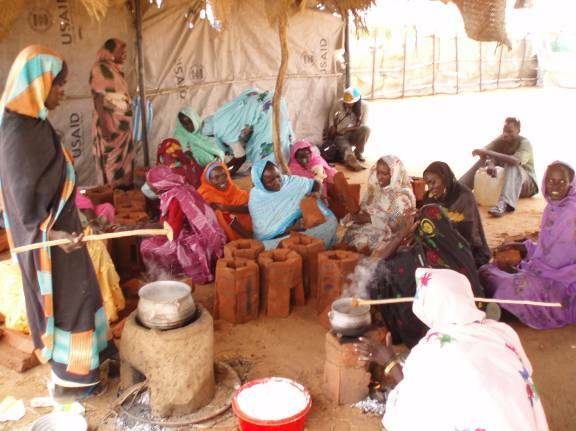 Past efforts to introduce cooking stoves have not been successful. 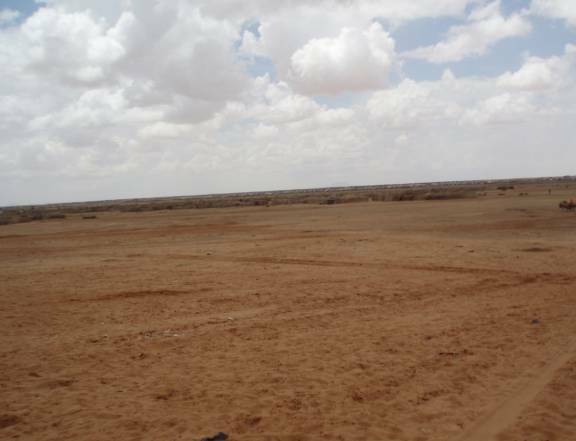 Any cooking fuel that might have existed is long gone. 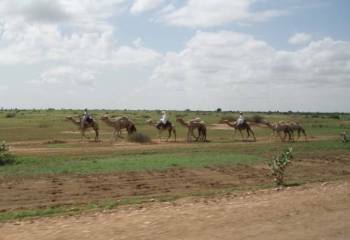 Everyone must purchase or barter for fuel, or go great distances to obtain it. 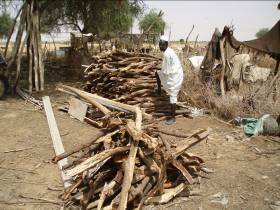 Firewood and charcoal is trucked from the surrounding hinterlands and sold. If you have no money then you must trade something. 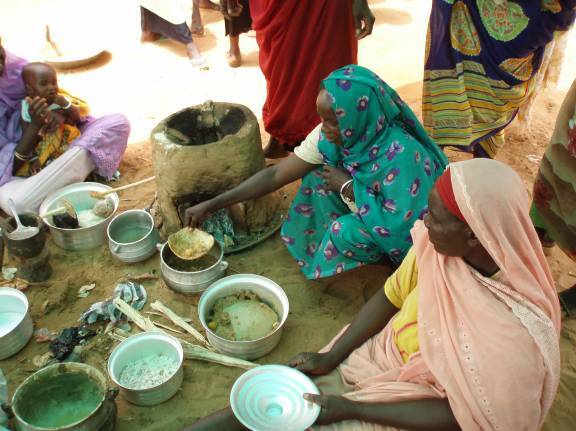 Many people are forced to trade some of their food to get the fuel to cook what food remains. 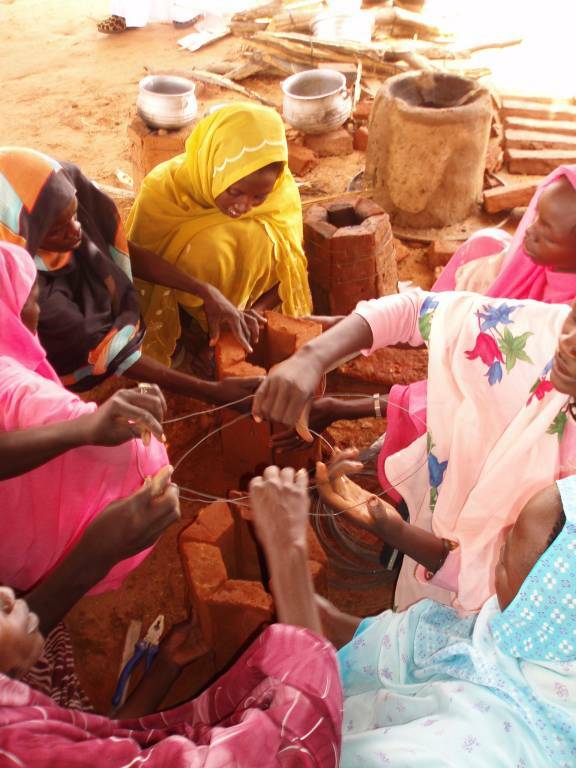 The SixBricks Rocket stove uses half (or less) of the fuel of the open fire. Of this half, less than half of the smoke and emissions are created. 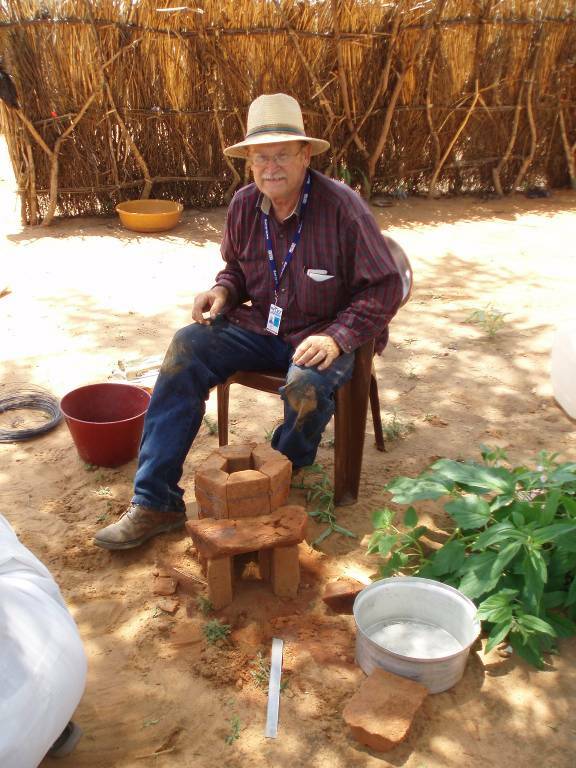 This stove has been highly engineered and tested and is easy to make from inexpensive, locally mass produced bricks. 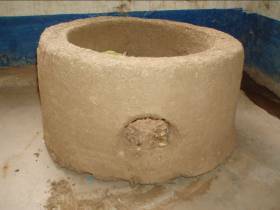 The success of the Six Bricks Rocket Stove depends on six special bricks. They are not ordinary bricks. They are lightweight and will float on water. 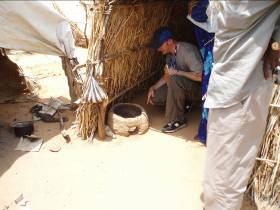 These bricks act as insulation to keep the fire very hot and efficient, and to keep the heat directed at the pot. 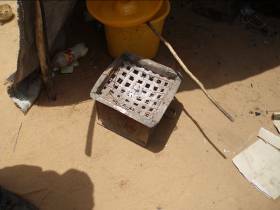 They form the combustion chamber of the stove and are the big secret of the Rocket Stove. 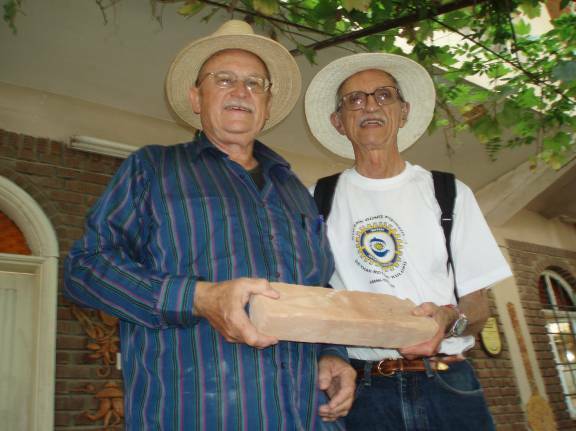 This brick, made in Turkey with the Sehan Adana Rotary Club, is held by Ken Goyer and Wilfred Pimentel. 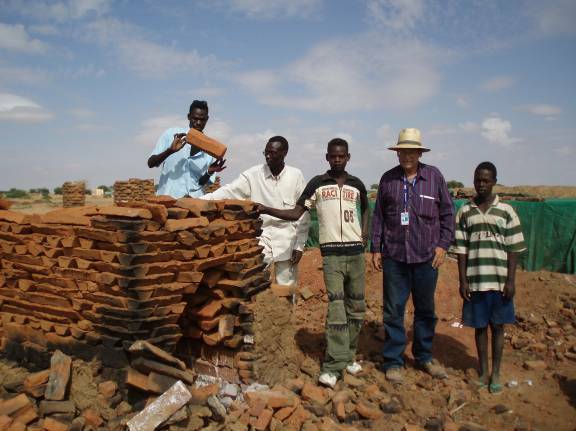 The Six Bricks Rocket Stove should actually be called the eight bricks rocket stove. 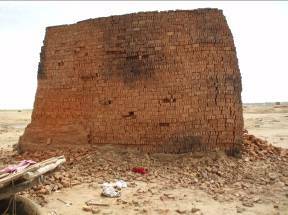 While six bricks form the combustion chamber, two more bricks are used for the wood entrance or “elbow”. (Wood ashes will insulate the bottom of the stove). 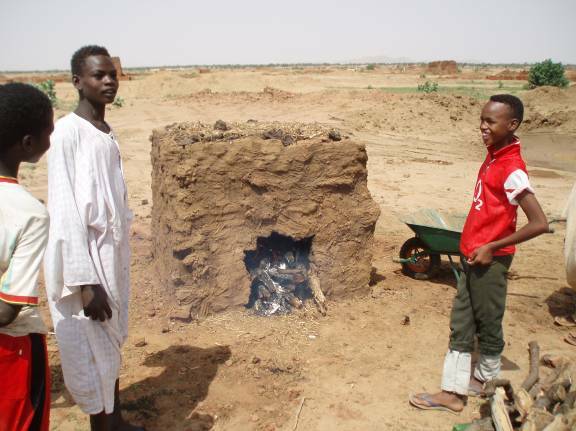 Once the six bricks are wired together and the entrance is made from the other two bricks the stove is mudded in place to make it stronger and more stable. 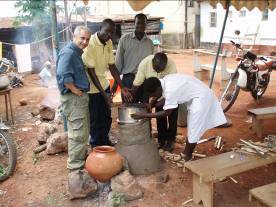 Vahid Jahangiri from the International Lifeline Fund demonstrates this stove at All Nations Christian Care in Lira, Uganda. 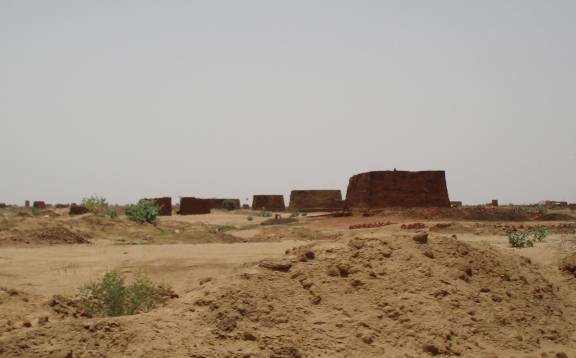 The valley of the giant kilns. 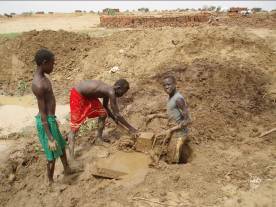 There is no shortage of brickmaking capacity or ability or desire in Darfur. 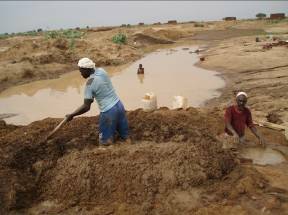 Brick makers at work and at play. 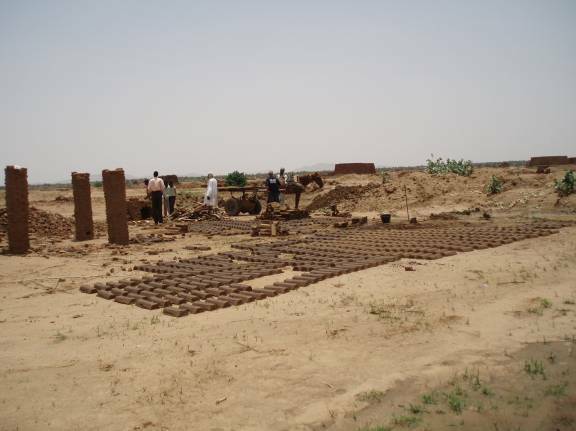 After testing the clay/organic mixture for the bricks, the first Rocket Stove bricks are made. The test bricks are burned in this mini-kiln. Our first batch of bricks has been successfully burned. 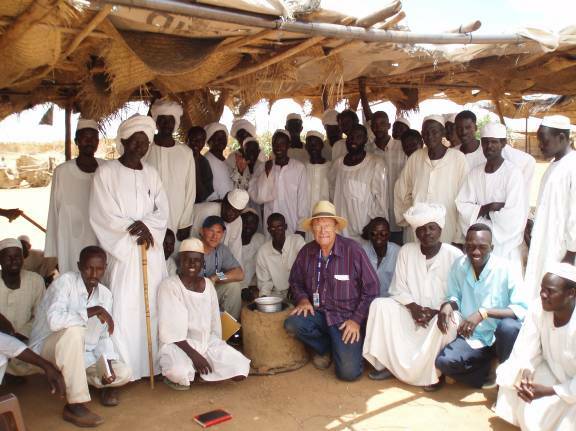 Before we can demonstrate the stove to the women, the men have come to pass their approval. They like it! The next day our first demonstration takes place. 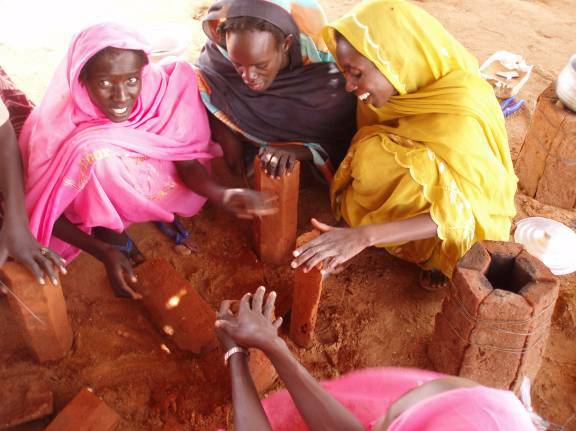 The women learn rapidly how to assemble the bricks. Working in teams the stoves are quickly assembled. 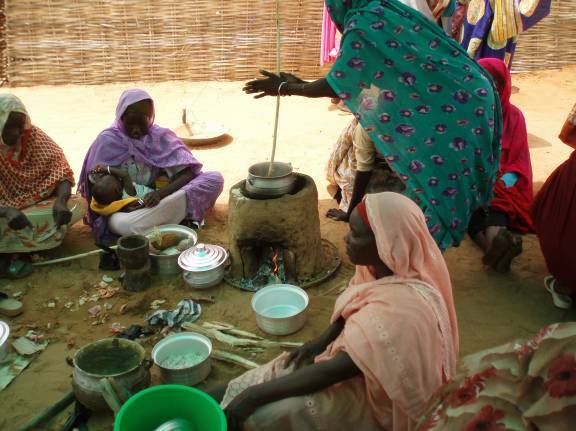 Cooking asseeda, their staple food, on the Rocket Stove. Asseeda is corn meal that is boiled and stirred to the consistency of thick mashed potatoes. This is eaten plain or with various “sauces” or side dishes of whatever else might be available (meat being the most luxurious sauce). 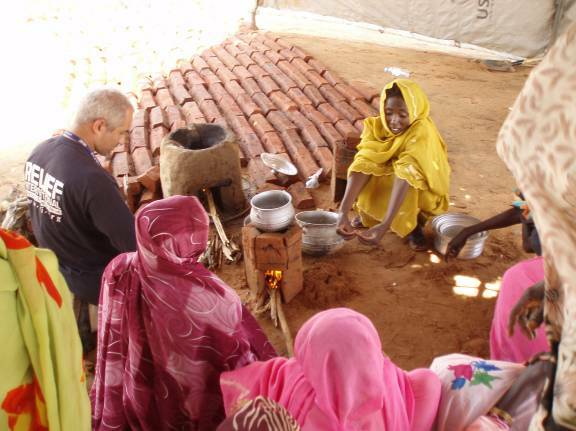 In another demonstration asseeda and various sauces and tea are prepared on the SixBricks Rocket Stove. 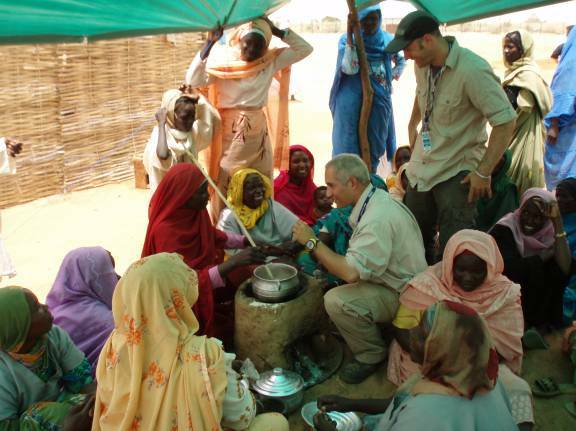 Dan Wolf and VJ talk with the women about the stove and the future aspirations of the International Lifeline Fund to provide everyone in Darfur with their own SixBricks Rocket Stove.